Sherlock Holmes, the greatest detective the world has ever known, is coming to Valley of the Moon to finally put this silly magic business to rest! What will he discover? Will his logic prevail over the mysterious mysteries? This October you're invited to an all new magical adventure. Join us as we present Sherlock Holmes and the Logic of Magic: an all-ages immersive experience through Valley of the Moon. At Valley of the Moon the story comes to life around you and you become part of the story in turn! This is the BEST way to visit Valley of the Moon for the first time, so don't miss out. Sherlock Holmes is a 45 minute walking theatrical adventure through Tucson's historic enchanted fairyland. If you have special needs please feel free to get in touch to make arrangements. We want to see you there! Don't forget: Members and their kids get in FREE! 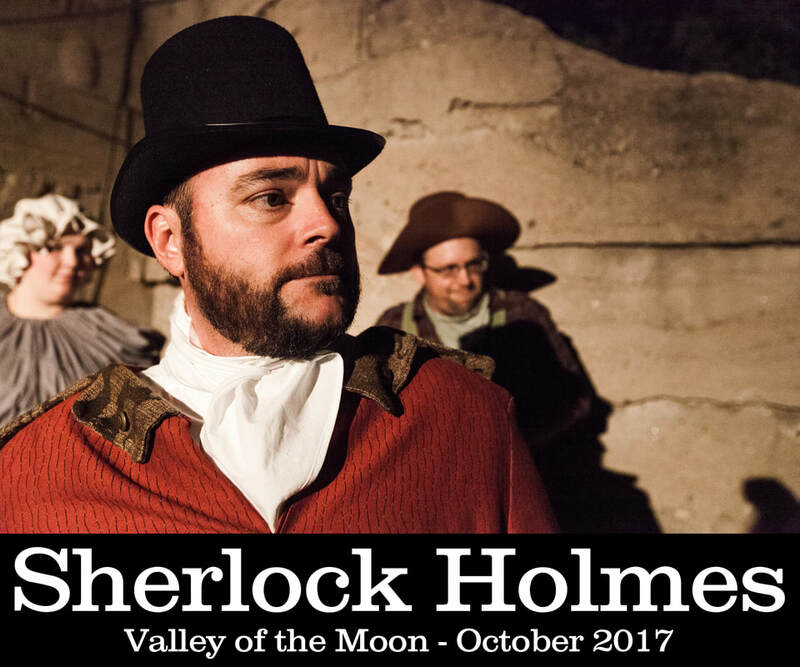 Membership is a great way to support Valley of the Moon and experience Sherlock Holmes at the same time! TICKETS: $10 General. $5 Students. Kids 7 and under FREE. DATES: Fridays, Saturdays, Sundays and the last Monday in October. That's October 6, 7, 8, 13, 14, 15, 20, 21, 22, 27, 28, 29, and 30. TIME: Adventures every 20 minutes from 6:00 to 9 p.m.
TICKETS: At the box office in person (gates open at 5:30) each day. Available in advance online until 3 p.m. on the day of the performance. TICKETS WILL SELL OUT SO GET YOURS EARLY ONLINE.